Just a few short weeks ago, Live Action News’ Nancy Flanders reported on the tragic passing of pro-life atheist Rob Sherman, who died in a December plane crash. At a time in which society insists on separating people into rigid categories based on certain beliefs, including inaccurately stereotyping pro-lifers as ultra-fundamentalist Christians by default, Sherman’s death was a huge loss for pro-lifers of all faiths — or no faith at all. 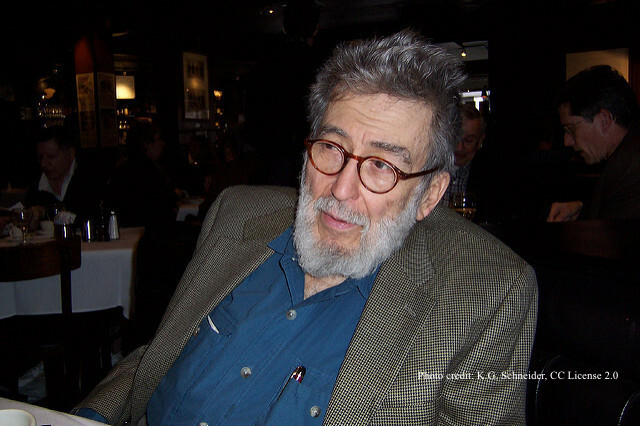 Over the weekend, the pro-life community took another hit with the passing of Nat Hentoff. Best known as a writer and defender of First Amendment rights, Hentoff was also a music critic, an atheist, a left-wing libertarian, and a staunch pro-lifer. Hentoff, who defied stereotypes, passed away on Saturday at his Manhattan home, surrounded by his family and listening to music. Pro-choicers clearly are only interested in their version of the choice in this matter. But why are the liberals among them so immovably illiberal only when it comes to abortion?…Once an abortion is wanted, the fetus, as one woman told me, is–to some women–[“the enemy within.”] In the fight not to be enslaved, liberalism is an abstraction. In addition to generally criticizing liberal hypocrisy on abortion, Hentoff also did so by name, calling out liberal politicians who abandoned their pro-life values. Liberal/left politicians who remain true to their philosophy and oppose abortion are virtually impossible to find. Like [Jesse] Jackson, most simply cave in to abortion rights pressure, fearing that no matter how left-leaning they are on other issues, if they come out against abortion they will be branded as right-wing fanatics. Some pro-lifers may take issue with some of Hentoff’s views, but as a champion of free speech, open discussion, and diverse views, he’d likely welcome that disagreement if he were still with us. A unique voice, to say the least, Hentoff will be missed by pro-lifers, as well as many others. Following his death, individuals of various political viewpoints celebrated his life, including actress Patricia Heaton and Jesse Jackson.